ISRI commenced operations in 1919 and have grown to be a global market leader in the development and manufacture of innovative seating systems for mining and earthmoving machinery in addition to trucks, buses and other commercial vehicles. ISRI has established 38 plants across 18 countries to form the backbone of their manufacturing infrastructure. All ISRI seats have been born out of a rigorous research and development programme to ensure the final product is the best in market. At the ISRI Research & Development facility, all seats are subjected to stresses greater than those experienced in normal everyday use to ensure they will stand up to the demands of our customers working environment. Adjusting your ISRI seat to the correct height and positioning is important to ensure a comfortable operator experience throughout the working day. 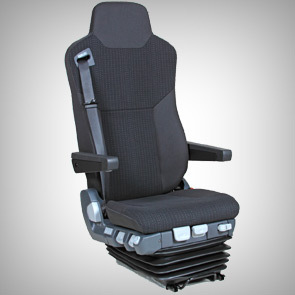 The following video provides information on how to adjust your ISRI seat for maximum comfort and safety.